It seems like everything the Slackers put out is pure gold, they never disappoint. I would recommend this for any Slackers fan and/or for any fan of ska/rocksteady. Classic. Every song is just a classic. This is one of the best Ska albums of the 90's and possibly ever. And some song vary away from ska and they dabble in Jazz and more latin style beats. But, trust me, it's fantastic. Hands down the best Slackers release. It sounds really good, all the songs are nothing short of perfect. Highly recommended for all those so-called ska kids nowadays. THIS is almost as real as the real deal gets, forget about your reel big fishes and your less than jakes. This is the band you really should listen to. the slackers are so effing awesome. some good ole ska is something everyone needs. very slow ska, a lot of reggae and early ska influence, basically not 3rd wave ska. 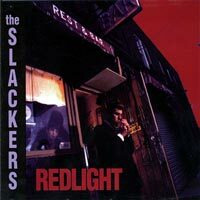 everyone should check out the slackers, they are very very good.